Hi guys! Its Clare :) This month I got to experience the Primal Pastures Chicken processing workshop. My boyfriend and I made the short drive out to Temecula, CA from Orange County, CA and joined a group of about 15-20 people looking to learn more about where their food comes from. You pay $65 for the experience and you get to take home the chicken that you process. The whole thing took about 2 hours total. Great turn out for this Primal Pastures Chicken Processing Workshop! Conventional Chicken "Farm". So sad! Before you read any further I have to warn you, this post is NOT for everybody. I believe that there is something really amazing that happens when you physically see the process that it takes to put meat on your table, in the right way. But there is an unavoidable fact that has to happen before that beautiful chicken is ready to pop into your oven........ that chicken has to die. In order for the animal to die in the most humane way, it takes attention, care and respect. Now for those of you who do not like this fact, I suggest you take a look at where your food comes from and your food is processed. 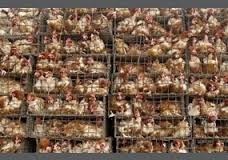 The problem with factory farms is that they don't produce healthy or safe food and the animals suffer from birth until death. I got a lot of negative feedback from some of my Instagram photos that I posted on the Chicken Processing day, but I also got a lot of positive feedback about people wanting to learn more. I want to preface with this: I love animals and all aspects of life, but I also love to eat meat. I try my hardest to only eat meat that I know was processed in a humane and sustainable way. I suggest that if you eat meat, you do the same. If this post seems too gruesome for you, thats ok! You do not have to read it, and I totally understand :) It wasn't too long ago that I couldn't even eat chicken that was still on the bone!! As a kid, I had my mom cut the meat off the bone before I could even stomach to eat it. But the more I learned about my food, the more interested I became in the process. I am a firm believer that we are better off as humans when we consume animal products, but although I know that death is necessary in order to feed us, I also know that animals should be treated with respect and dignity in every step of their life. 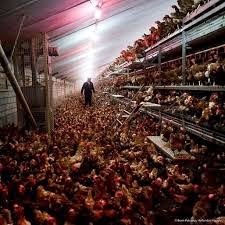 I do find the killing part of the process disturbing no matter how it happens, but there is a better way than the factory conventional chicken "farms" we see in these photos. If you are interested feeling connected with your food and learning about the hard work and process it takes to put those chicken tenders on your plate, read on! And if you REALLY want to get the full experience, check out one of Primal Pastures Chicken Processing workshops in the future! Last summer meeting the chicks! Primal Pastures is on a mission to bring the best quality food to your table, using the most humane, responsible and sustainable methods available. Upon arriving to the workshop we were given a short tour of the areas that they keep the chickens and we were given a glimpse into the pastured life that these chickens get to live. They get to soak up Southern California Vitamin D, enjoy roaming around the land, eating grass, bugs and organic supplemental feed free of GMO or soy. I have been to Primal Pastures before and even got to hold some of the baby chicks. Very possibly these chicks could be the ones we are processing today! The farmers walked us through the entire processing of the chicken. Each step along the way they explained why they were doing things the way they were. They stressed that they were in search of a way to make the chickens life and every step along the way as humane as possible, while still delivering the highest quality meats. The first step is kill the chicken. The farmers explained to us that the chickens are most calm and comfortable when they are upside down. They feel as if they are in a predators mouth and therefore play "possum" and hardly move at all. This makes it very easy to make a clean cut with a VERY sharp knife without cutting the windpipe. This way, you are able to hit the carotid artery on the first try, causing the bird to bleed out quickly (within seconds) and with very little pain. But I kept reminding myself that this is one of the realities of eating meat. I do not take joy in the killing process, but I know that these birds lived the best possible life and that will translate to excellent quality meat on the dinner table! I also was very thankful to have the killing process explained to me and felt the respect that the farmers had for these animals. After a couple minutes, the birds were removed from the cones and they were placed in the hot soapy water. This loosens the feathers so that they come off easily. The next step was really cool. The chickens were placed in this metal drum with rubber nubs inside it. When they flipped the "on" switch, the bird moved around in a circular motion and the feathers came off seamlessly! I posted a short video about this on our Instagram and so many people were amazed at this part of the process! My first time grabbing a chicken by its feet! He hardly moved at all! My heart was pounding leading up to this next moment. I placed my chicken into the cone and stepped back. Now don't make fun of me, but I said a little prayer for this little chickie. I didn't make a scene or say anything out loud, but I quietly took a moment to give thanks and to ask for strength. I just wanted to make sure that I was as thankful as possible for the sacrifice this bird was going to make in order to feed me. And I also wanted strength to be able to complete this task effectively and efficiently on the first try. I wanted to make sure I did it right and was super focused. I know what I am about to say sounds like an oxymoron... but I wanted to do it correctly so I didn't hurt the bird in the process. I was in the zone and just wanted it to be over as quick as possible. Phil's bird after the hot-soapy bath. These guys were are great addition to my bone broth! Removing the organs... this was harder than it looked! You could see the grass and supplemental feed that the chicken had eaten! Our birds and all the organs/heads and feet! We will use every part of the bird! I was blown away at how emotional I was about the entire process. I felt an amazing sense of accomplishment and closeness to the bird that I processed. I felt overwhelmingly thankful for all that these farmers at Primal Pastures are doing. I think that this processing workshop is so valuable and helped to bring me closer to my food. I highly recommend this workshop for anyone in the area! (or if you aren't in SoCal, make a special trip!) I hear all the time about these posh, Beverly Hills "Farm to Table" restaurants.... but they truly have nothing on this. Dinner never tasted so good! I have never eaten a chicken so fresh! I felt so proud to be able to eat this for dinner that same night! An experience I will never forget!